Man Utd are reportedly keen to land Benfica youngster Ruben Dias after sending scouts to watch him in action this week. 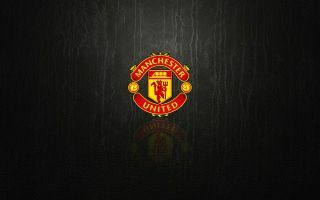 The Red Devils have enjoyed an impressive resurgence since Ole Gunnar Solskjaer took charge on an interim basis in December, winning 14 of his 17 games at the helm across all competitions. However, United do still have the second worst defensive record of the top seven sides in the Premier League table, and it has been an area in which they have continued to struggle despite improving under the Norwegian tactician. With that in mind, bringing in defensive reinforcements this summer would seem like a sensible move, and as reported by The Sun, Dias appears to be high on their transfer shortlist. The 21-year-old has continued to impress for Benfica this season, making 42 appearances across all competitions to establish himself as a fundamental figure in their line-up at such a young age. In turn, while it could be argued that he may need time to adapt to the Premier League and England if he were to move to Old Trafford this summer, he has seemingly already gained plenty of experience at a high level to showcase his quality. That report adds that teammate Joao Felix is also of interest to Man Utd, but The Sun also report that Wolverhampton Wanderers have sent scouts to watch the talented ace in action and could emerge as real competition for United. However, it’s added that the 19-year-old has a £105m release clause in his current contract, and so it remains to be seen who is able to not only afford that mammoth fee, but also which club is willing to take what is still a risk given Felix has yet to prove himself at the highest level on a consistent basis. Admittedly, he has impressed this year with nine goals and five assists in 16 league outings for the senior side, and so he does appear to have a bright future ahead of him. Nevertheless, time will tell if a move to England materialises as soon as this summer, and if United can fend off the competition with Juventus, Atletico Madrid, Man City, Bayern Munich, Borussia Dortmund, AC Milan, Napoli and Inter all specifically mentioned in the report as interested parties too. Given the calibre of those touted interested clubs, it arguably says a lot about Felix in itself that many of the top European sides believe he will be a star in the future.